And then you just need to tell Laravel that you want to use SQLite in the .env file. If your like me, creating the testing isn’t enough. I’m not disciplined enough to remember to run the tests each time before I launch. I need for this to be automated, to run in the background, and notify me if anything is wrong. This is where Travis CI comes in. 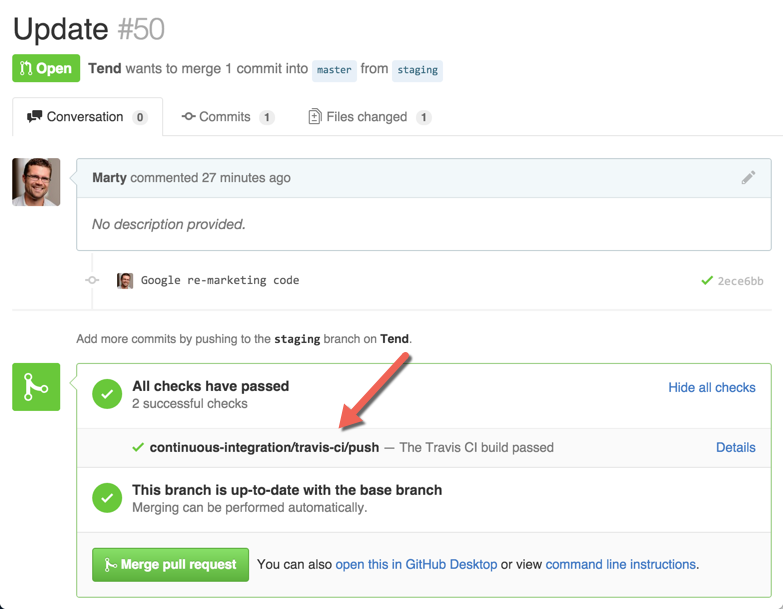 Travis CI is directly integrated into Github’s UI. This means that every time I make a push changes up to Github, Travis CI automatically reads and runs the tests. After sining up for Travis CI, the only thing you need to do to integrate it into Laravel’s testing, is to create a travis.yml file. Here is what I used for reference.